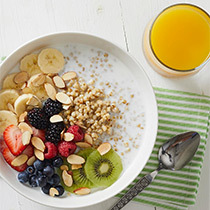 Celebrate Whole Grains this September! Subject: Celebrate Whole Grains this September! Whole grains are an essential part of a balanced diet. Not only do they provide valuable nutrients, they may also help reduce the risk of chronic diseases, such as coronary heart disease, diabetes and cancer. September is Whole Grains Month, and we'll be sharing the importance of whole grains, including sorghum, as part of a balanced diet. Connect with us at SimplySorghum.com and follow us on social media for new recipes, how-to videos, weekly blog posts and more! 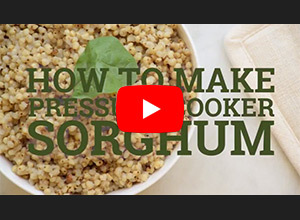 Sorghum is a must-try whole grain! Not only is sorghum nutritious, it is also easy to use. Whole grain sorghum can be cooked on your stovetop, slow cooker and pressure cooker. Check out our cooking tips library for directions on how to cook up a batch of whole grain sorghum. You can use whole grain sorghum in soups, salads, grain bowls, breakfast dishes, pilafs and risottos. You can even add a new twist to favorite meals with sorghum. 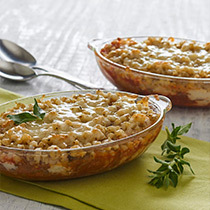 Think outside of the box and get creative with this versatile whole grain. 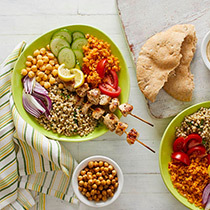 Celebrate whole grains in your kitchen for every meal of the day with these sorghum recipes. For more information about sorghum, please visit SimplySorghum.com or contact Doug Bice, Sorghum Checkoff market development director, at dougb@sorghumcheckoff.com. The goal of Sorghum. Nature's Super Grain™ is to educate consumers about the wholesome goodness of sorghum and the endless possibilities it has to offer in a healthy diet. Sorghum. Nature's Super Grain™ is a brand developed by the Sorghum Checkoff - SorghumCheckoff.